Today, recruitment is far more candidate-driven than what it used to be even 5 years before; in other words job seekers are deciding the course of action recruiters are taking. This is partly because of higher competition to attract the right talent and a perceptible change in job seekers’ expectations. One of the major reasons for this shift is the growing number of millennials, also known as ‘Digital Natives’ who are the single largest job seeker group. They spend more time on an average on social networks and other digital platforms compared to senior professionals. With the exponential rise in the number of smartphones, mobile-optimized job adverts and career pages have become a deciding factor as far as job searches are concerned. Companies are responding to this by considering mobile recruiting as the new norm and making their career sites and content mobile-friendly, simplifying user experience and making the application process as short as possible. Additionally, companies are tweaking their digital marketing strategies by creating content suitable for mobile viewing, which helps to bring in additional traffic to the company pages. Evolution on the technology front is leading recruitment teams (also overall HR!) to adopt new tools, platforms, processes and methodologies in a bid to build a ‘Digital’ culture in their organization. Today, the need to drive ‘Transformation’ is just not limited to the Strategy, Sales and Marketing functions but also extends to multiple HR domains, considered to be a support function till recently. The transformation of HR and by extension of the recruitment/staffing function is being brought about by a combination of factors – market forces (demand & supply), workplace strategies, and enabling technologies. Many large corporations have taken to the goal of transformation by digitizing their recruitment/people functions. They are investing time and resources to create capabilities built around social media analytics, artificial intelligence (AI), machine learning (ML), digital learning platforms/apps, face recognition and automation. One of the key challenges recruiters face in a candidate-driven market is the fact that often it is the latter that chooses the job rather than the opposite. LinkedIn estimates that more than 70% of the global talent pool is made up of passive candidates who are not actively seeking jobs while most of the focus remains on the 30% who are active job seekers. However, 87% of all job seekers (active and passive) are open to new opportunities provided the key objectives (compensation, professional development and better work/life balance) are met. Social recruiting is a new powerful tool that can help organizations reach the right candidates wherever they are. A robust social recruitment strategy helps companies connect and engage with potential candidates helped by a persuasive employer brand story. As per LinkedIn Talent Solutions, employee networks/referral is still the most preferred source for discovering quality talent and can help expand the employee pool by 10X. However, the centrality of ‘Candidate Experience’ during the recruitment process has put the spotlight on talent branding tools. While company websites are the most effective branding tools available, online professional networks such as LinkedIn and social media (Facebook and Twitter) come a close second. Social recruiting involves leveraging professional networks, groups, forums, communities and social media platforms to locate, access and reach out to candidates with the aim to elicit an interest. In recent years, social networks have become one of the top sources for quality hires. The rise of social media and professional networks has resulted in an uptick in content marketing. In recruiting terms, it involves building a ‘Talent Brand’ as opposed to just ‘Employer Brand’. LinkedIn describes the former as “highly social, totally public version of your employer brand. It incorporates what your talent – past, present and potential – thinks, feels and shares about your company as a place to work”. Students and candidates consume a lot of content on social media platforms. Therefore, it is imperative for any recruitment/staffing organization to build relevant content to get the message out. Delivering value can take the form of video testimonials, quotes from the leadership, blog articles, research, thought-leadership, photos, vlogs, and webinars. Social recruiting is not seen as just an option today, it has become a must-have component within the overall recruitment architecture of companies worldwide. “At its core, social recruiting is about building relationships with people long before they become applicants for a position at your company” is how LinkedIn defines social recruiting. It is cost effective, has a massive reach and caters to two different objectives – creating interest in potential candidates through a well-crafted content marketing strategy as well to source candidates who are looking for jobs. 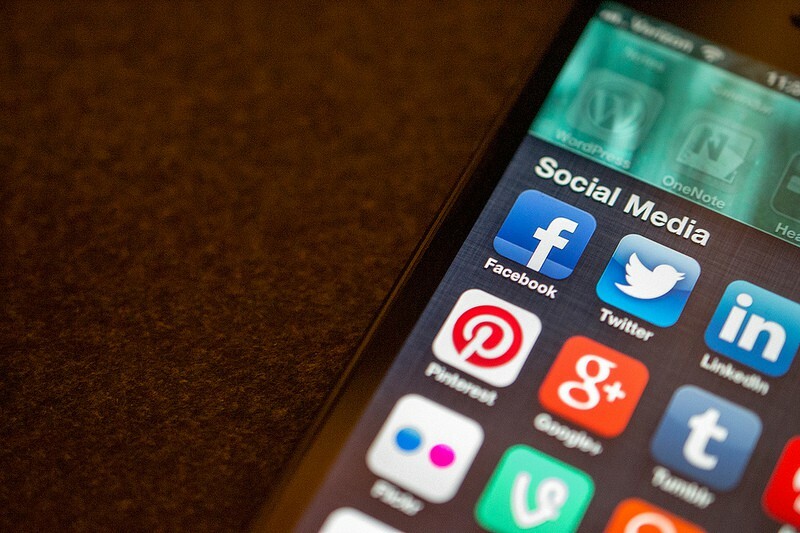 According to a new survey conducted by Clutch, nearly 15% of job seekers use social media to find their next job. It is not enough to establish online presence across social media channels without a coherent, defined and well thought strategy in terms of how to leverage the platforms to achieve the stated goals. Finding and reaching out to candidates may not yield the desired results without first building a social brand. Content is the single most important resource that goes a long way to help build a brand on social platforms. Its time for visuals and more visuals: Online advertising platform WordStream has come up with video marketing volume statistics for 2018, according to which, 82% of Twitter users watch video content on the platform and more than 500mn hours of videos are watched on YouTube every single day. This demonstrates the growing importance of visuals in online/digital marketing in the time to come. In 2018, Facebook launched ‘Facebook Watch’, a video-on-demand service which is available on mobile, desktops and TV apps. This will enable organizations to create video content ranging from employee testimonials, mini documentaries and live events to create and promote buzz online. Companies can introduce the employer brand, talk about its organization culture, and share client success stories and testimonials. Innovative sourcing using hashtags: Being on top of digital trends will be the key differentiator between successful and not-so-successful teams. This is particularly true in a situation where unemployment rates in the US has fallen to historic lows – just 3.9% as of May 2018. Social media recruiting affords a tool to keep candidates engaged even when they are not actively looking for a job change. Recruiters using Twitter can employ hashtag searches to locate passive candidates by using keywords such as job title, job role etc. Similarly Facebook can also help recruiters reach out to potential candidates using the keyword ‘recruiting’. Additionally events can be created on the platform using Facebook Live to attract potential candidates. Hosting live Q&A sessions on these platforms gives an opportunity to potential candidates to engage with the recruiters and pose the right questions. Periscope, acquired by Twitter in 2015, is a social broadcasting app that streams live audio and video using just a smartphone. Facebook and Reddit also offer such features. Social listening helps to understand the pulse: Social listening involves monitoring social media channels to look out for mention of brands, products, services, competition and a host of other variables. Employers/recruiters can use social media to understand and analyse opinions, feedback, information shared by users and followers to get a grip on their strategy. The data generated on social media accounts can be analyzed to ascertain the buzz on the ground, expectations, complaints, and can also help in gauging the performance of content marketing. Analytics platforms such as Hootsuite, Iconosquare, Snaplytics, Sprout Social, among others, can aggregate information and data across different sources/social media handles, analyze it and present the relevant metrics for decision-making. Today’s job seeker flips through company profiles/pages across social media platforms before applying for a job or even when he/she is approached by a recruiter. One key aspect that companies need to keep in mind while drawing up a social media strategy is to ensure consistency in messaging.